We do not have many good events in London dealing with eDiscovery and its surrounding subjects. The annual Nuix Insider Conference is an exception, one of the few events I go to whether or not I am participating in it. An article by Jessica Lyford in Forensic Focus gives a good summary of the day which I do not need to recapitulate here. The theme which she refers to as “the convergence of investigations, eDiscovery, incident response and governance” is much the same as was covered by CTO Stephen Stewart in my video interview with him here, particularly the move by companies to put compliance, security, information governance, risk and HR matters under the umbrella of “risk” with a Chief Risk Officer taking overall control. 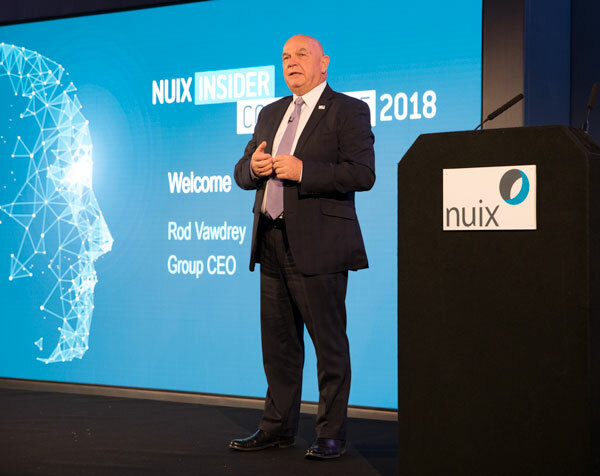 CEO Rod Vawdrey made two observations in his opening speech which are worth recording – that we are seeing a shift from recording the past to tracking what is happening now, and another shift from “silo subjects” to “problems we solve”. The accumulation of risk areas under one umbrella brings one benefit beyond the concentrated focus – once all the subjects are treated as part of the same problem, it becomes possible to aggregate budget towards tools and, services and staff to deal with them. The General Data Protection Regulation has done much to foster this new focus. I agree with Jimmy Desai’s observation, quoted by Jessica Lyford, that “lack of investor interest in companies that can’t prove they are GDPR compliant” is a more compelling message than harping on about fines. I would be asking the same question if offered any senior position in a company – perhaps any position indeed, since it would be my data at risk at a company which did not comply with the GDPR. I quote often from an interview I did with Patrick Burke (now in US government service) to the effect that the organisations are concerned to be GDPR compliant “because they want to keep doing business”. It was a stroke of genius to invite Baroness Manningham-Buller to give the opening keynote, and even better to have her talk about leadership rather than security. I liked in particular her message about not being shy to change everything at once. Most of us, perhaps, would prefer incremental change, picking off one issue before moving on to the next. Lady Manningham Butler sees benefits in moving on all fronts at once, even (perhaps especially) when the times are in turmoil anyway. The event has moved to the Royal Lancaster Hotel which, out of the way though it may seem, is actually a well-designed venue for events of this kind. Its former Stygian gloom (I recall it as being in slightly varying shades of brown) has been brightened up to make it appealing as well as convenient. That somehow encouraged conversation, and I spent more time than I intended in talking to interesting people rather than listening to the many events on the agenda. That, to me, is very much part of the point going to events – talking to the people with the problems and with the solutions. The next Nuix event, so far as I’m concerned, is the Nuix User Exchange 2018 at Huntington Beach in California from 16 to 18 September. This is always a valuable event and I look forward to it. This entry was posted in Cyber security, Data Security, Discovery, eDisclosure, eDiscovery, Electronic disclosure, Nuix, Nuix Insider Conference and tagged Rod Vawdrey, Stephen Stewart. Bookmark the permalink.